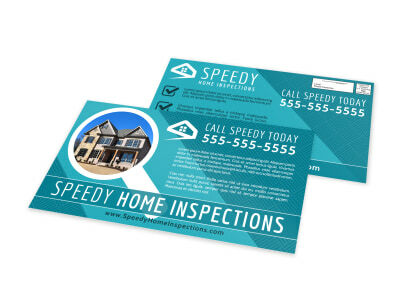 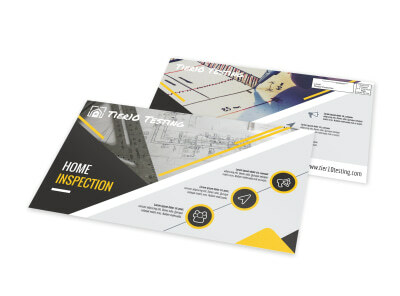 Customize our Fast Home Inspection Postcard Template and more! 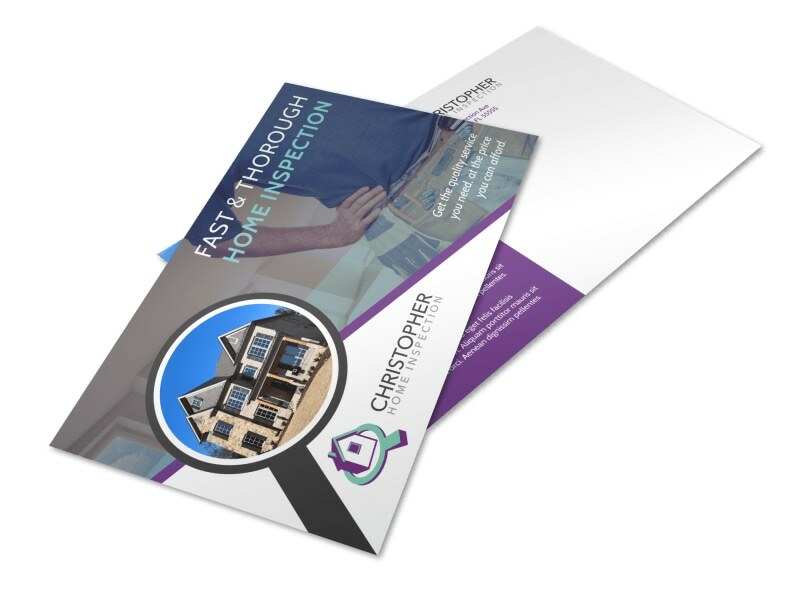 Whether you work for homeowners or finance companies, let your clients know that you're the best in the business with this customized postcard touting your expertise and services. 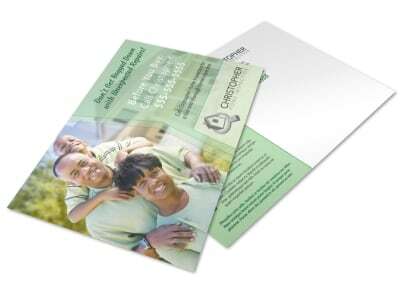 Get your postcard mail-ready by customizing it with colors, images, and personalized text that will stand out in the recipient’s mail.